We hope you survived the caloric-punch that is Thanksgiving, and may even have the creativity left to turn some of those leftovers into inspired meals of their own. 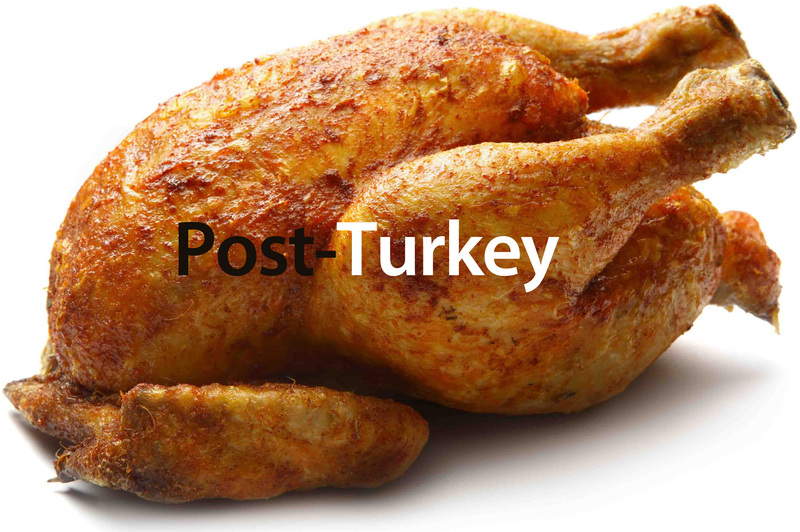 There are a million reasons to eat turkey, we find it slightly curious that it seems like such a seasonal dish. But thankfully, the internet is chock-full of recipes and ideas on how to deal with the tasty leftovers. Growing up, the day-after-Thanksgiving turkey sandwich was almost as critical as the turkey meal the night before. This author’s mom cooks amazing challah bread for turkey sandwiches, and sadly, no gluten-free bread on the planet can match that. However, there are a number of GF breads available, so the turkey sandwich is a go. We asked our Twitter followers on Friday what they were planning on doing for leftovers. @CursedThing from the midwest wrote that she was making a turkey tater-tot hot dish. So, the midwest represents with a casserole-type dish, sweet! Other creative ways to use turkey come from one of my friends, who is of Chinese descent. 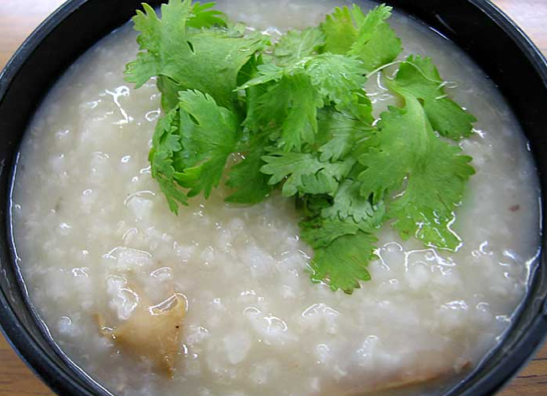 She grew up eating Juk, also known as Congee, or rice porridge. Sort of the equivalent of Chinese chicken soup, this porridge is awesome and warming, great for a cold day. Using turkey instead of chicken makes the porridge a little more rich and salty (thanks to a brined turkey). Highly recommended. Obviously, the sky is the limit when it comes to leftovers. But we’d like to know your thoughts or ideas! This entry was posted in Cooking, Culture, Reviews, Website on November 29, 2011 by glutenfreepdx.